Training begins with a light warm-up then moves quickly into basic kicks, punches and block practice and footwork, to be able to execute these techniques with fluidity and balance. Basic strengthening and fitness exercises, such as push-ups, jumping, running, sit-ups, are employed to condition the body. In nearly every class we go over basic attack and block sequences in "Kata" (forms) and/or "Kumite" (sparring) techniques. Through Kyokushin practice, kids develop patience, respect and appreciation for one another and for the world around them. In daily class, they learn how to cooperate as a team, how to take responsibility for their actions, and how to work to set goals and see them through. 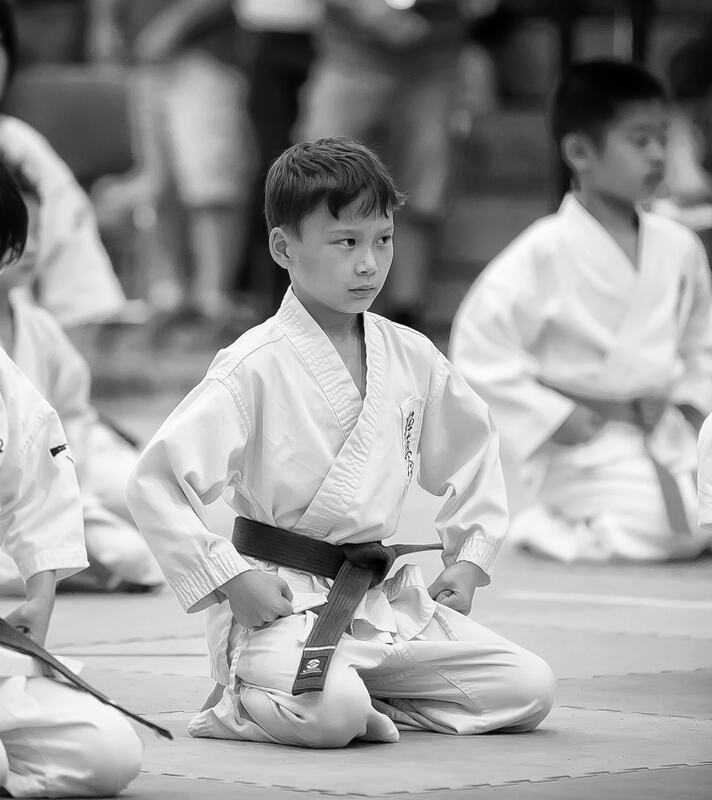 The KKNY Kids Program is expertly led by a team of highly skilled, kid-friendly IKO Certified Black Belt Instructors, ea ch with a minimum of 4yrs dedicated training at KKNY, to well over 30yrs in Kyokushin. The Kids class size is purposely small to allow for detailed instruction and personal attention. 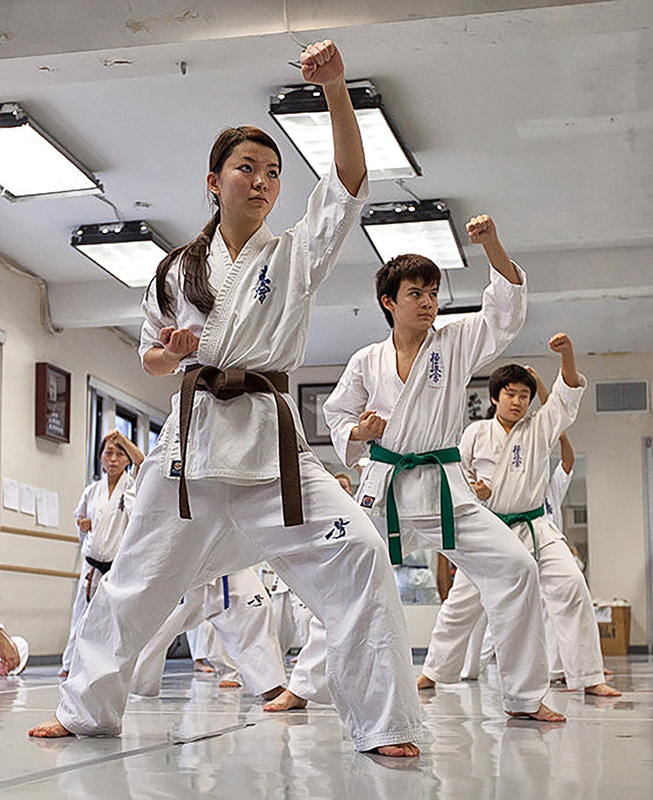 The ratio of student to instructor in our Kids classes averages 8 to 1. In every class, we begin and end with a period of meditation, "Mokuso" to transition the mind from the affairs of the day, to concentrate on the training about to begin. All outside influences, worries and thoughts are discarded. Kids-Specific Kyokushin Karate intenive summer camp at the mMidtown dojo with Shihan Katsuhito Gorai, the camp includes traditional training in Kyokushin Karate 2~3 classes per day, Stretching and Meditation Strength Training and Conditioning Sparring (Kumite)and Mini-Tournament at week's end. Field Trips / Outdoor training (weather permitting) in nearby Madison Square, or Bryant Park, Games, Challenges and Board breaking tryout. Also, no electronic devices are allowed during the summer camp. Sesame Street's "Murray Had a Little Lamb"